Welcome to my new blog. Where do I begin? 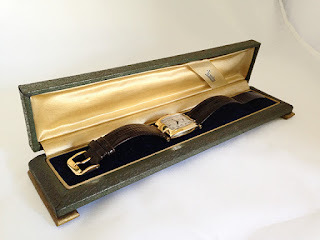 I seem to have created an obsession for pre 1960 wristwatches and in turn I feel the need to talk about them, show them off, and perhaps pass on a great retro watch to you (you'll have to wait for my website to get up and running for that). I hope to chat about all things retro watches and about my personal watch collection, give you some details about the specific watch manufacturers and watch models and present it as it would have been originally presented when first sold. I'll provide references to original manufacturer catalog references (including pictures), vintage watch ads (more pictures) and the original presentation box (even more pictures). While writing this first post I came up with the answer to the question I posed above "Where do I begin?" 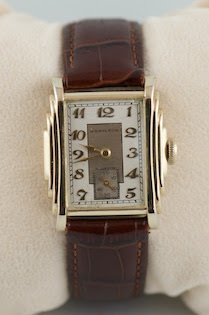 I will begin with what started it for me - a gift from my dear wife, a 1933 Hamilton "Putnam" and a chance encounter with a watchmaker in Victoria, British Columbia. I had been scouring the internet and checkng out antique stores for vintage watches (having only looked) and my wife obviously noticed this early interest. I was greatly surprised four years ago on my birthday when I was presented with a Hamilton Watch Co. 1933 "Putnam" mechanical wristwatch. 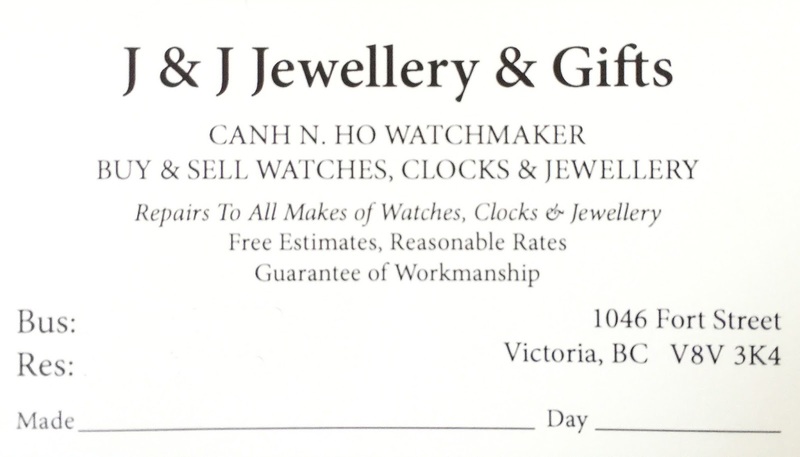 Not long after receiving the incredible birthday gift, my wife and I were strolling down "antique row" in Victoria, British Columbia and we came across a gentleman's watch repair store; we had walked by it previously and peaked through the windows but had never entered. That particular day though we decided to enter. The proprietor had several dozen vintage watches that we looked at including another Hamilton, another c. 1933, a "Webster"; which of course I bought that day. 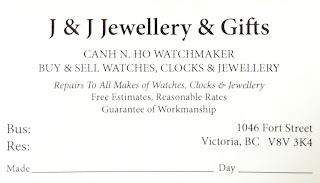 While browsing the store that day the watchmaker couldn't help noticing my enthusiasm and asked if I'd like to join him on Saturdays at his shop. You have to remember, this was the first time I met the man and he was inviting me to spend my Saturdays with him in his shop! I of course said yes. Well, let me tell you, that was really what hooked me on vintage watches. Beginning that summer I joined him every Saturday and he patiently taught me, provided me with my first watch makers tools, I received some great watches and he even fed me while I was there. We became great friends Canh and I. BTW, he's retired now and our friendship continues. So this has been the inspiration for my vintage watch obsession. 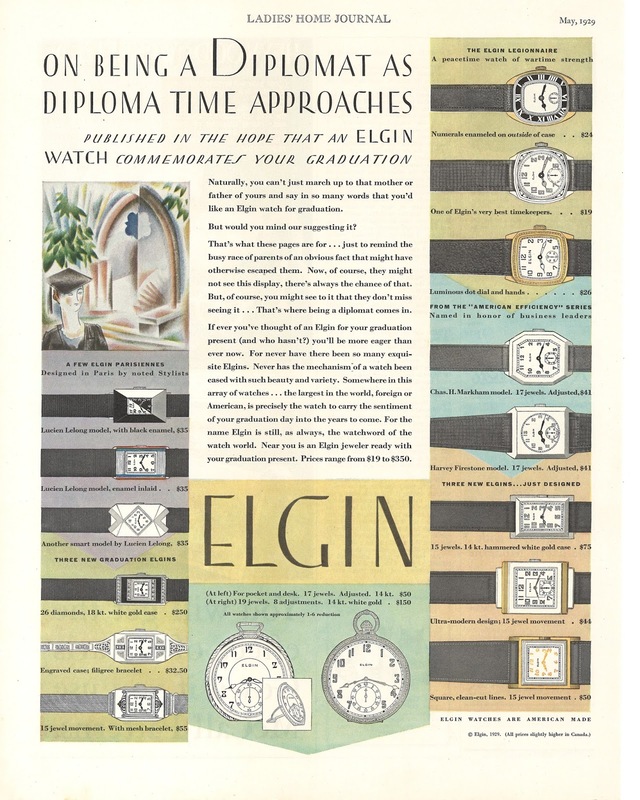 Along with my watch collection (pieces from the 1920s to the 1960s) I also collect period presentation boxes, vintage advertisements advertising the watches I have and other watch history ephemera. 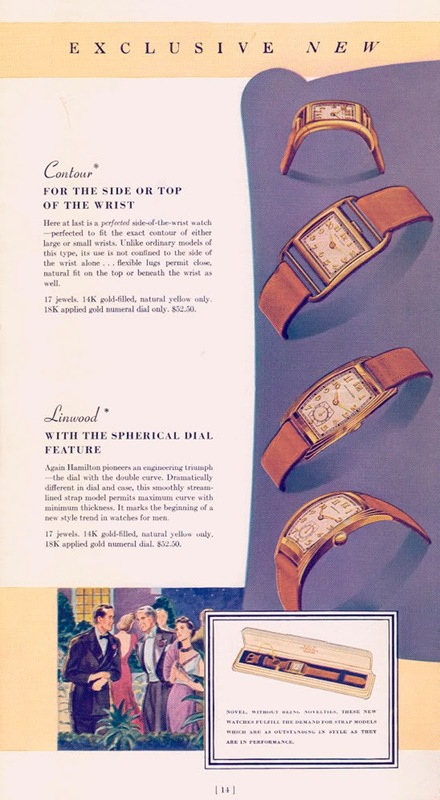 I research the origin of the watch manufacturer, the watch model, how the watch might have been presented when first bought at a shop and finally, I scour vintage advertisements for watch advertisements and vintage sales catalogs and now I'm blogging about it. I'm no historian, simply a hobbyist so history lessons are better left to experts. I will undoubtedly not get it quit right on occasion when I write about a watch, but what the heck. I welcome feedback from those with better intel so that I may continue my life long learning and update my blog. Before television and the internet, manufacturers of every type of consumer goo advertised in lots of different print media. Saturday Evening Post, National Geographic, Ladies Home Journal, Harper's Bazaar, Life and the like. 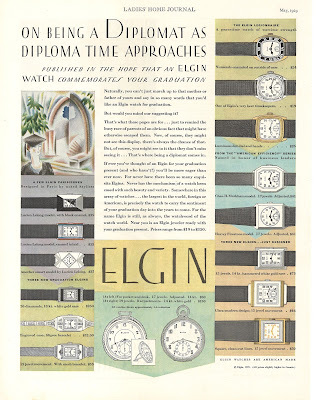 Add the advertisements made by retailers in newspapers and you have a significant archive of watch history. Original dealer catalogs are being archived like the ones for Hamilton here on this website Vintage Watch Forum - dealer catalog pages. When I scour period publications it ensures that my watches are presented in their period appropriate presentation box and watch strap type. For me, the graphics in vintage publications are pretty cool too- kinda makes me think of the T.V. show Mad Men, the show about some pretty crazy people revolving around an advertising agency called Coopers, Sterling et al. BTW, there were a few cool watches featured in that show (OMG, I am obsessed). Notice the presentation box in the lower left. While you can find lots of the vintage adverts on line, I enjoy scouring though second hand and vintage stores and their vintage magazine section. My watch obsession includes a bunch of retro ads waiting to be framed and hung in my work shop. I've found a great resource at an antique store on Vancouver Island where the vendor scours the magazines himself and cuts out the retro adverts for all kinds of stuff (sorry purists, scissors are involved) and then sells the magazine page that has the ad on it. 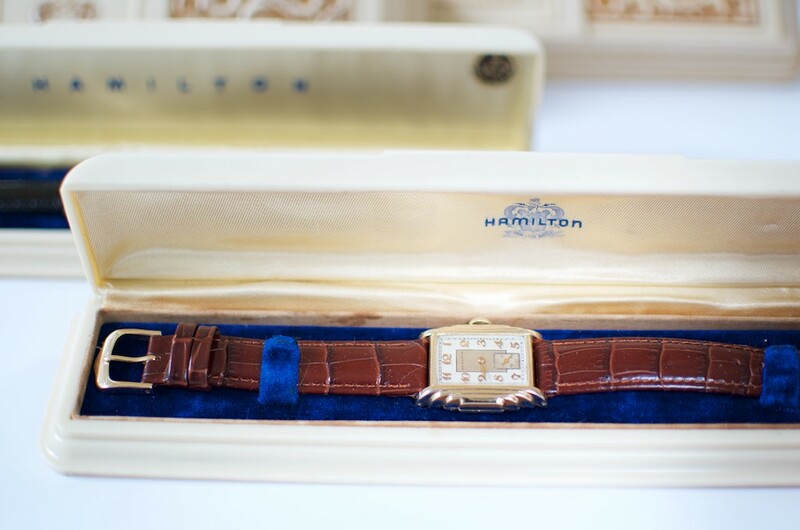 The box below houses my Putnam and several other boxes hold other my Hamilton wristwatches (check out my watch collection pages). I also have presentation boxes for my Gruen and Bulova wristwatches. These particular boxes were used from the mid to late 1930s through 1940s and it appears the only substantial change between those two decades was the use of Hamilton's crest during the 30s and changing to simply the name "Hamilton" in the 40s. As my Putnam is an early 1930s model it was likely presented by the jewller in an early presentation box like the one below. These are harder to find as the material that covered them tended to disintegrate over time (not like plastic bakelite). The box my Putnam is in now is still from the same decade so until I find the period "correct", it will do just fine. It's amazing to see the size of the Hamilton factory. Somehow I visioned something the size of my old Edmonton 2 bay Shell service station. I could very well be a customer. "Mickey" on the rare occasion is not always suitable. Wonderful! I have been looking (lusting?) for a Putnam. I'm envious. There are a few watches that certainly make a watch collection, big or small, and Putnam for me is one of them. I do not follow the fashion. In fact i personally think whatever suits you and attracts you is actually in fashion. These watches are equally beautiful and it must be durable as well.